The Commonwealth Vintage Dancers reconstruct, teach, and perform American ballroom dance of the 19th and early 20th centuries. In addition to performing dances of the Federal, Civil War, Gilded Age, Ragtime and Roaring Twenties Eras, we host public balls, dance classes and multi-day workshops for historical dancers. 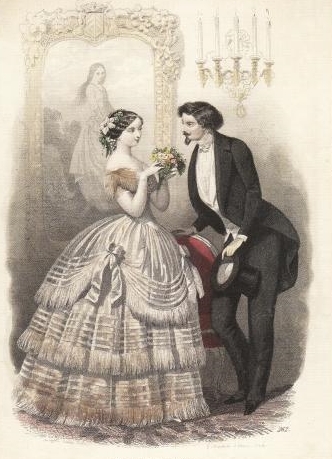 May 19, June 16, July 21, August 18, and September 15, 2019 Third Sunday Victorian Dance Classes – Dance classes on the third Sunday of each month from May to September. Each class can stand alone, or you can come to more than one for extra practice. September 28, 2019 Victoria and Albert Ball – A splendid ball in Mechanics Hall, Worcester, MA. Tickets are on sale now!